Ireland is a beautiful, changing island that is very easy to negotiate, with many nonstop flights from the USA, trains crossing and circling the island, and new roadways that go pretty much everywhere. Driving on the left is not nearly as difficult to master as you might think. 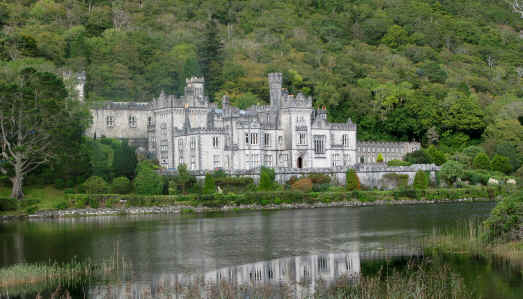 Ireland is changing from an ancient, rural landscape to one with modern homes and new resorts. But the older architecture is the mainstay of the country. Adare Manor, shown here, like most castles and large manor houses, has been refurbished into a luxury hotel. 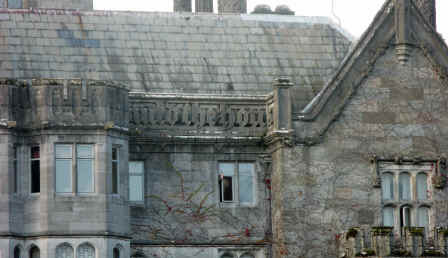 Kenmare Abbey (right) has been turned into a private school for girls. 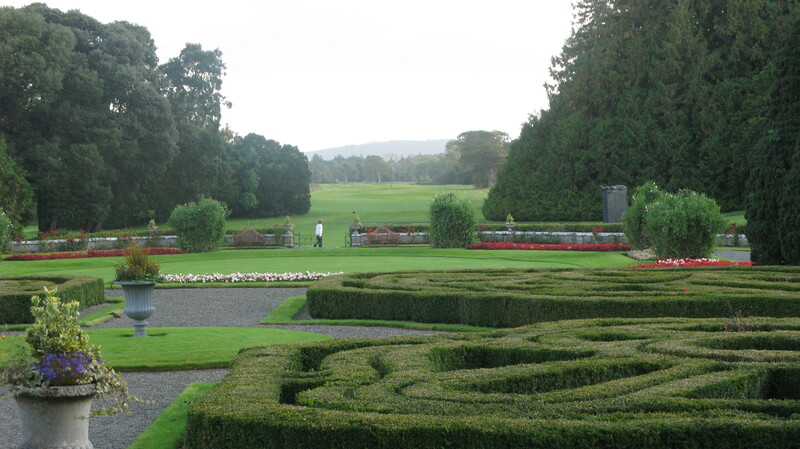 Ireland is a golfer’s paradise--golf links are everywhere in Ireland. 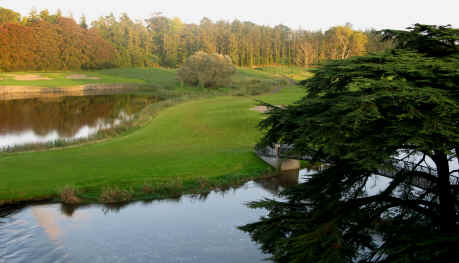 Most courses are to be found in the new luxury resorts, though old manor homes, too, now have golf courses. In addition, manor homes built by rivers offer great fishing for all to enjoy. But most people go to Ireland for the landscape. The west coast is very rugged. 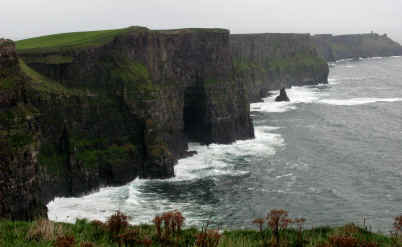 The Cliffs of Mohr are one of Ireland ’s most dramatic sites—definitely a must-see! Northwest of Galway is Connermara, the densely populated area that was so seriously hit by the potato famine in 1845. Of course, many people go to Ireland for its literary history and music. 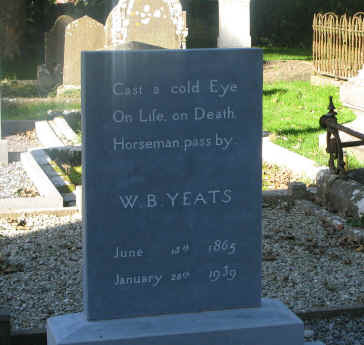 After having been interred for many years in France, where the poet had died, Yeats’ body was returned to Sligo, where his grave draws many visitors. He had said, "If I die bury me up there [at Roquebrune] and then in a year's time when the newspapers have forgotten me, dig me up and plant me in Sligo". It was more like nine years, but he finally got there! For the young at heart there is hiking and biking everywhere. And we know that Ireland is famous for its pubs—there is even one that boasts some familiar Boston . . . items?! ?